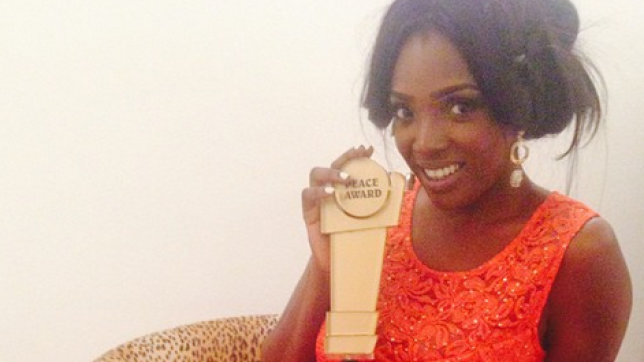 Annie Idibia wins Actress of the Year. Guess who is currently the actress of the year? It's the very talented and lovely 'Annie Idibia'. The actress on September, 27,2014, received an award as 'Actress of the Year' at the Peace Ambassadors Achievers Awards. Thank u Jesus for all ur amazing blessings.. And to u guys for all the love n support ... Thank u .. Thk u.. "Peace ambassador Actress of d year"
The actress has featured in movies like Brides War, Blackberry Babes, My Soul Mate and others. Congrats to her.